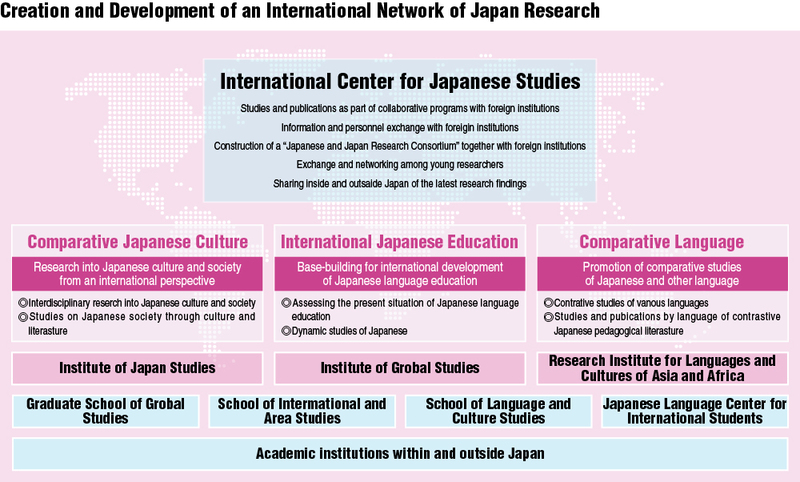 The International Center for Japanese Studies at Tokyo University of Foreign Studies was founded in April 2009 with the aim of conducting research studies from individual, synthetic and composite perspectives in the fields of Japanese, Japanese language education, Japanese culture and Japanese society, sharing research results inside and outside Japan and reapplying them to the field of pedagogy. Since 2016 (until 2021) we have begun operating under the theme "Creation and Development of an International Network of Japan Research". 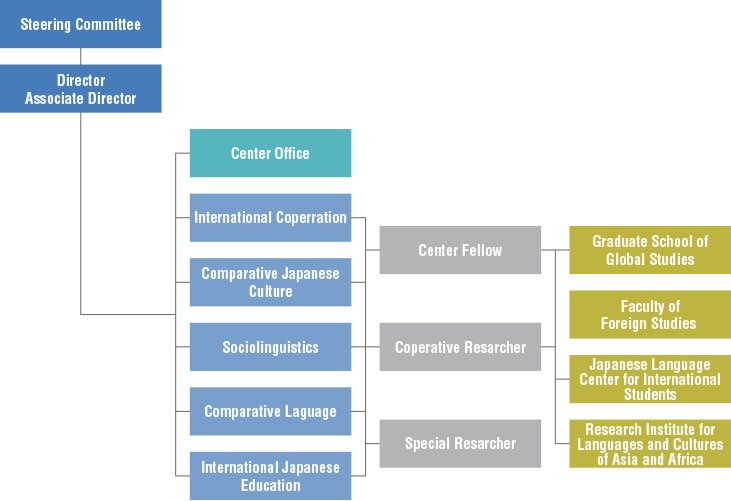 The Center has also been reorganized into the following three departments: International Japanese Education, Contrastive Japanese, Comparative Japanese Culture. Going forward, we will focus our efforts on the creation of a worldwide network of researchers dedicated to research into Japanese and Japan, focusing particularly on young researchers. We will also strive, through close cooperation with institutions inside and outside Japan, for truly bidirectional international collaborative research from multiple perspectives.